EZ Draw is a 50# paper and is available perforated or unperforated for use on computer sign machines. 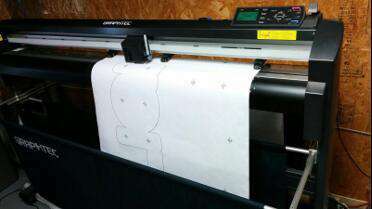 Perfect for making patterns or layouts on many signage and banner jobs. Note: The 20# box label and 50# paper spec. reference are the same weights. It is used to designate bond paper vs. offset sheet.